We noticed a fantastic Letter to the Editor published in the Irish News link here and text is below. On The Irish News recollections from the Duke of York bar (November 20), as I recall Gerry Adams was a pleasant enough young barman. Now some 50 years later all I can ask is: What went wrong – the beer wasn’t that bad? Like the Grand Old Duke of York himself, Gerry Adams later led a generation of young nationalists up the militarist hill of support for the IRA ‘war in the north’ and then, again like the Grand Old Duke, he led them back down again. The trouble is that the going up of the militarist hill was much quicker that the coming down that same hill. Some hills are of course like that – especially when they are on a sectarian terrain dominated by the historic fears and grievances of a deeply divided people. In the late 1960s in the Duke of York bar I had often listened to wiser heads than me commit to the primacy of ‘bridge building over bunker building’ and to the primacy of mass political action by a risen people over any form of elitist military action. Like many in the broad Labour and trade union movement then I thought that this was strong stuff and that we all had a clear political choice between people power and militarism. And I also thought that everyone in the Duke of York bar, including the barmen, were listening. Where indeed did it all go wrong? 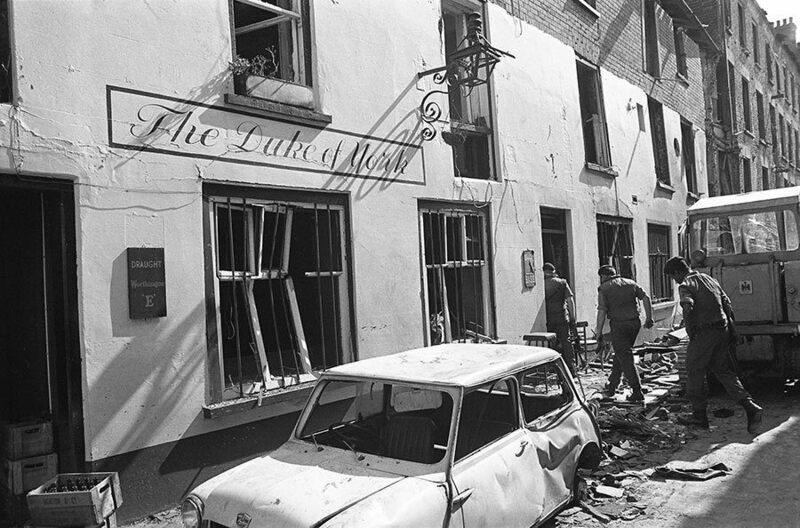 3,500 lost lives and nearly 50 wasted years later are Irish militarists ever going to admit that the political strategy behind the IRA war was a bad strategy and that the politics of Irish unity by enforcement was always simply bad politics? I hope that someone in the new leadership of Sinn Féin will have the political courage to recognise that the foundation of Dáil Éireann in January 1919 was the most revolutionary act of the Irish democratic revolution. I also hope that the new president of Sinn Féin will have the political ‘bottle’ – to use the polite word – to recognise that their party support since the 1930s for Irish militarism was always acting in defiance of a successive democratically elected Dáil Éireann. As such support for the post-civil war IRA was always and will always remain, as the great Labour and trade union leader James Connolly warned, nothing more than a callous contribution to ‘a carnival of reaction’.